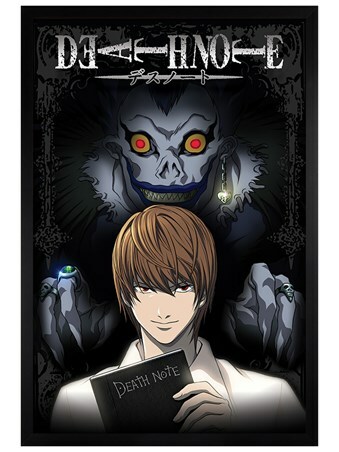 Anime Television Maxi Poster: When a young Boy, Light, stumbles across a small black notebook, his life is changed forever. 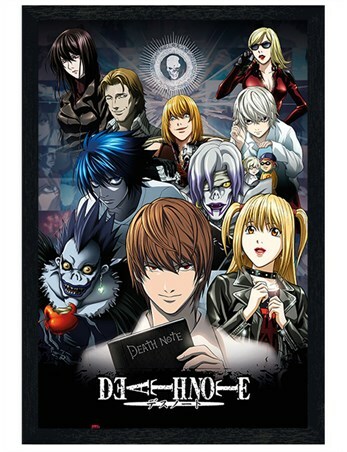 In a world where Death Gods are called Shinigamis and where you can commit murder by inking a page, Light begins a mission that he calls the 'New World!' 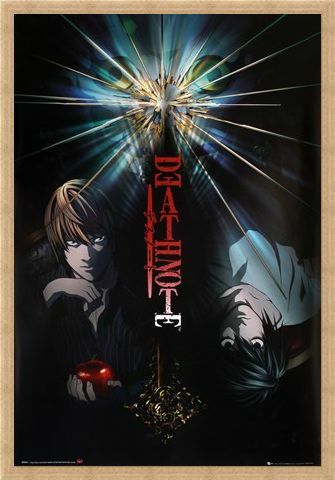 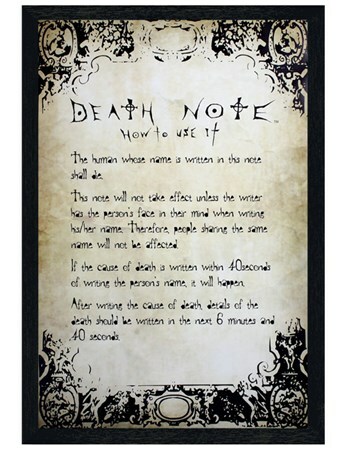 When a dark and mysterious Shinigami called Ryuk leaves his Death Note with Light, detective L begins a crazy journey in an attempt to stop the deaths. This dynamic duo are worlds apart, however they make a great addition to any fan of the works of Tsugumi Ohba! 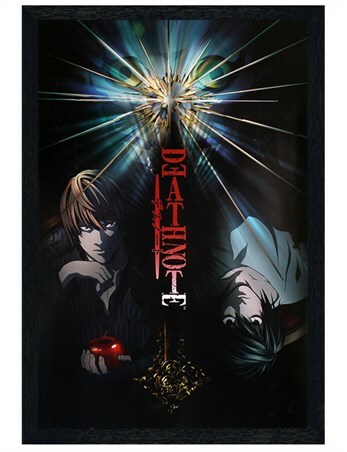 High quality, framed Duo Disaster, Death Note poster with a bespoke frame by our custom framing service.